Petroglyphs are found world-wide except Antarctica, from USA, South Africa, Australia, Chile, India to Spain, symbolic designs created by removing part of a rock. 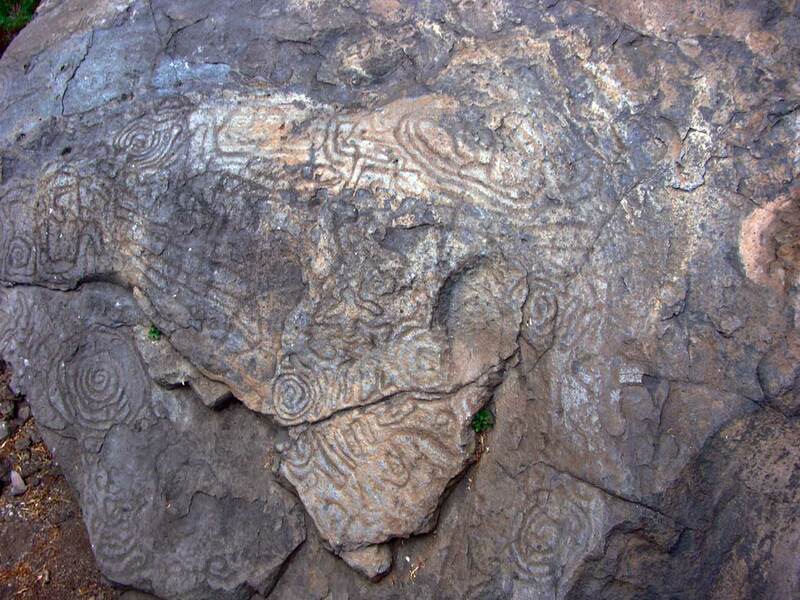 Many petroglyphs are thought to be maps, astronomical makers or maybe other forms of symbolic communication. This picture is the Belmaco Cave, located in La Palma Island / Canary Islands (Spain) it is the first archaeological field discovered on the Canary Islands.